Enjoy Field Day Olive Oil Organic Ev GlassLtr . 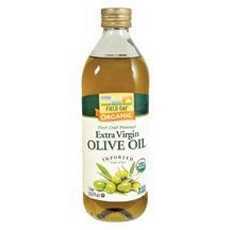 Description: Olive Oil,Og1,Ev,Glass Quantity: 12 Size: 1 Ltr Brand: FieldyAttributes: 100% Organic, (Please Check The Manufacturer's Details For Contents As We Are Unable To Guarantee Ingredient Details And They May Change Without Notice). (Note: Description is informational only. Please refer to ingredients label on product prior to use and address any health questions to your Health Professional prior to use.